Escape the hustle and bustle of the city life to enjoy a whiff of fresh air in the rustic countryside at Desaru and Kota Tinggi. 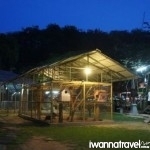 Your first stop will be Desaru fruit farm where you will go on a guided tour and get to sample tropical fruits. 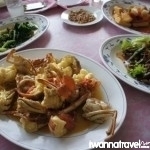 Next, you will proceed to Sungai Rengit for lunch which of course, will include the town’s famed baby lobsters. 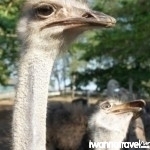 After the break, you will visit an Ostrich Farm and a Crocodile Farm. To top off your day, you will enjoy a sumptuous seafood dinner followed by a relaxing cruise ride where you can appreciate first-hand how the amazing fireflies among the mangrove vegetation light up the dark starry night. 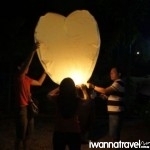 There will also be a chance for you to write down your wishes and set off the Kong Ming Deng (sky lantern), and hopefully, make your wishes come true! 700am – Pick up from Marsiling MRT Station by our friendly driver. Quick breakfast in Johor en-route to Desaru Fruit Farm. 1000am – Arrive at Desaru Fruit Farm. You will be given a guided tour around the farm. At the end of the tour, you will be able sample some tropical fruits in a small fruit platter. There is also opportunity to purchase local produce at the farm. 1130am – Leave Desaru Fruit Farm for Sungai Rengit. 1200pm – Arrive at Sungai Rengit, a seaside town famed for its baby lobsters, for your seafood lunch. 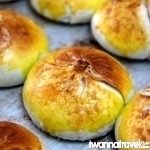 For excellent Chinese pastries, be sure to visit Kedai Kek Lim Choo Seng for their popular Lao Po Bing (Wife’s Biscuit). 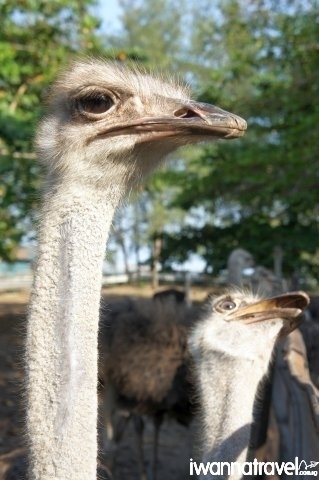 130pm – Transfer to Ostrich Farm which is a short distance away from Sungai Rengit. Be amazed by these large flightless birds and the sheer size of their eggs. 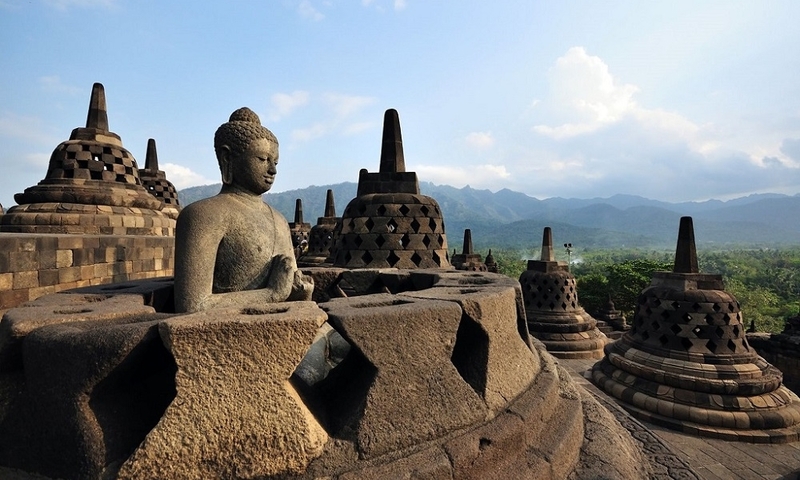 You will have a chance to try Ostrich satays and omelettes. Kids also have the opportunity to sit on an ostrich for photo taking! 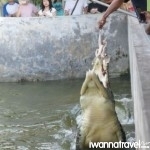 400pm – Arrive at Crocodile Farm and take a self tour. You will get to see hundreds of crocodiles and if you are lucky, get to see the feeding session and a hundred year old crocodile. 845pm – Transfer back to Singapore. 1130pm – Estimated time of arrival at Marsiling MRT Station in Singapore. An overnight stay at Desaru or Kota Tinggi can be arranged. If you are into trekking, we can arrange both Mt Panti and Pelepah Falls hike. Organization of transport and guide. It was well arranged and went on smoothly. We had a fabulous time at Mt. Panti, thanks to 'I Wanna Travel'. The organisation was smooth from the beginning. My support, HS, was attentive to details and always available at my beck and call. The guide was friendly and encouraging. The last stretch of the climb before reaching the summit was thrilling. We absolutely loved it! We were treated to a large spread of delicious vegetarian Chinese food at the end of the trip. The highlight of the trip was the Firefly Cruise. What a mesmerising experience! Thank you for a great trip. We'll be coming back for more. Organisation of the trip was good as communication with iwannatravel was smooth and fast, and the itinerary planning was well suited for my group needs and wants. The driver, Mr Thina, was very accommodating towards our schedule and took care of our needs, example needing to buy rubber shoes, where he drove us to the shop. Our guides were well experienced and could pace and entertain us well with their knowledge and fun-loving nature. Mount Panti had more leeches than what we imagined though and the difficulty level of the treks was as what iwannatravel said, not to be estimated as it had moderate difficulty. Overall we had a good experience with our activities and accommodations! And would definitely recommend this trip for the more adventurous people. The guide, Mr Azhar was very experienced. He was able to pace us accordingly and guide us throughout our entire trek to the peak and the Big Tree. The trek was not easy, considering it started to rain halfway thru the journey, making the route slippery but Mr Azhar was willing to guide us and pace us accordingly throughout so that we wont overexert ourselves. The climb itself. Eventhough, the mountain itself is not that high, it still needs some form of resilience in order to reach the summit then to the big tree. The guide that was with us was a very experience one. He leads us all the way with lots of patience and give us some tips on how to overcome some parts of the trek.that was not so easy. Witj his level of expertise, we manage to.complete the trek. The four of us really enjoy the trek. The transport van was spacious and driver was really friendly and accommodating. Double thumb ups! The whole trip was great! Everything went very smooth and it was a great experience. The guide allowed us to choose which route we wanted to go, and was accommodating to all our pictures and video. The driver was very friendly and provided recommendations for dinner. The pre-trip experience was great as well and all our questions were answered so we were well prepared for the trip! Everything was on time and according to plan. hs and his colleagues were all very nice, friendly and approachable. The climb was abit harder than we thought it should be. But nevertheless we did have fun as a group of friends who barely get to meet each other when we are back in SG. 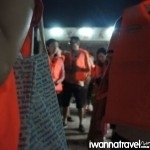 Trip was well planned, transport was on time, recommended eating place was good and affordable - very good experience! Overall excellent planning, coordination and communication ahead of the trip. The arranged driver was jovial and accommodating as well. Could not ask for more for a trip like this. A very positive experience indeed by all in my team! We had a lovely trip! Well organized. Everything was ok. Friendly and flexible driver. Knowledledable guide. Resort was basic, but ok. Slight feedback is the breakfast wasnt ready in time. Overall perfect trip. Very well organised. Clear instructions. Quick response to emails. All worked exactly as planned. Good guide. Driver was always on time. No complaints. Impressed with service. HS was very prompt, clear and honest in his responses. Great organisation and hassle free with the whole process. Kumar the driver is friendly and accommodating. The guide Hazali is just great! Patient with our slower pace (mainly due to old age me) and even pro-actively to offer to help us carry some stuff. The whole camping experience was great for my wife and 2 kids who did it for the first time. Overall very happy that we made it to the summit, and grateful to the kind and great weather where there was no rain at all. The trip was successful thank you and we all made it up and down in 9 hours. Fitri our guide was very good and looked after us well. Gunung Ledang Resort is indeed basic but sufficient for the night before the hike. Many thanks. Guide Syami was amazing! Very patient and extremely helpful towards my parents (55 and 50 year old folks) . His guidance really helped my parents with their hike. Shared his knowledge on the mountain and the wildlife there. Perfect. Very nice group, glad I made some good friends. Thanks to the organisers who took us for dinner near a vegetarian friendly place. Coordination with IWT was a breeze. Ying was quick in responding to queries and very helpful, giving tips according to her own experience climbing Pelapah Falls. Prasanth, the driver, was on-time, friendly and skillful. Despite the hours of driving and waiting for us, he always wore a smile on his face. Nan, our guide, was very experienced. He was like a fatherly figure who knew exactly what he was doing and that brought a lot of assurance to us. Pelapah Falls has its challenges but it was such a good experience for my friends and I. We had to tread through cooling rivers, climb using ropes, avoid giant ants and manage a few leeches but the amazing and therapeutic waterfalls made it all worth it. All of us were counted as beginner hikers and we all made it. So don't worry. Just do it! We have went for hiking in Mount Lambak. Though its our first hiking have enjoyed it to the full. Guide received us with his warm wishes and provided his support through-out the trip and gave tips on what are all things to do and not to do during the trekking/hiking. Organisation is very efficient, we can get all the help we needed. 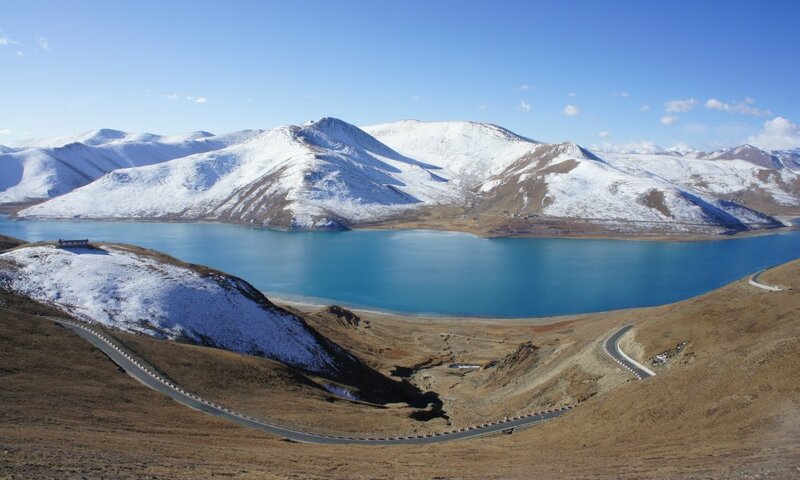 in terms of transport , bus guide and mountain guides. food was great , ready and prepared sufficiently. The whole planning process went very smoothly, and Ying was very accommodating to our requests. We were even able to secure a chalet instead of camping like our initial plan, because we were worried about the monsoon season. We were kept well-informed of what we needed to take note of as well, and all our queries were answered promptly. Transport was great, the driver knew his way around well and was always ready to pick us up. The fact that one of the organizers came down at 5am in the morning to ensure that everything was in order and to send us off, gave a great personal touch to the trip. The guides for the trek were both friendly and experienced. Transport was good. Always around and never late. The hiking guide Azizi was really good also. Could tell he enjoyed his job and enjoyed the people as well. Friendly, fun and very supportive. Accommodation's facilities were quite old but the functionality is there. The trip was well planned and the guides provided were experienced and friendly. Azizi, Chamin and Boy were our guides. Azizi was motivating us with the hot coffee that he will make for us at the peak, best coffee ever! He was really friendly and continuously motivating us. I really enjoy the whole travel experience. The driver is always contactable and prompt, and transport it’s quite comfortable. The mountain guide is friendly, and is knowledgeable and ensures that the last person is not left behind, and there are 2 guides provided to us for a group of 10 which I think is quite good. The accommodation at Melaka is quite clean and it’s within the tourist attraction; Jonker Street and there’s also some free and easy time to explore with driver provided. Our driver was very accommodating. He never made us feel like we were imposing and always asked us what we preferred. As with our previous trip, I really did enjoy IWT’s responsiveness. The speed with which Ying managed to book everything was great. A well-organised and overall pleasant trip. Everyone enjoyed themselves and we returned home in high spirits. On behalf of Yale-NUS GOYAC. thank you! Despite the heavy rain, slippery and gruelling hike, it was a fantastic trip made possible by the guide Aiyee. Bob was very accommodating too. We managed Stong only but surely will come back for Ayam. Loved everything about the trip! It was very well organized by IWT! Especially to HS! He was very informative in providing us with instructions and tips before the trip.Transport was on time and the driver was flexible in his timing. He was nice to recommend a couple of food places for us to have our breakfast and lunch. He even agreed to take us to our favorite massage place after the hike. The overall hike was great! Definitely an experience not to be missed. The guide was very experienced too although he was only 21. He would constantly check on us when we slept in tents through the night. He watched out for our safety too. My friends and I felt that the entire trip was well put together from the arrangement to climb Mt Ophir to the extension of our stay in Melaka. The iwannatravel service was prompt and always on the ball. This was one of my best trips to Malaysia. We had a brilliant day climbing Mount Belumut after what we thought may be a show stopper – heavy rain in the morning which luckily cleared for perfect climbing conditions. 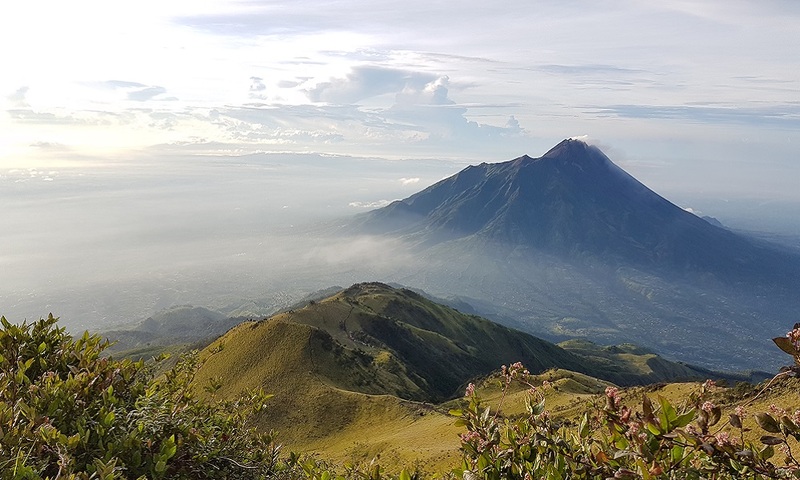 The climb was a great challenge, and we have taken back memories of our wonderful guide, the twists and bends, the summit view, beautiful forests and wildlife. Thank you to Bob and his Team at Iwannatravel for arranging our trip and providing an unforgettable experience. We thoroughly enjoyed the trip. The most memorable part would be that all the service providers had a very personal touch. The transport was appropriate for our group & it was comfortable. The driver also helped us get to places safely & efficiently. Azam & Fairus were very jolly (mountain guides) who made our hike an enjoyable one. Azam was very encouraging and helpful too. It was also good that guidelines, packing list & other necessary information were clearly put across. Overall arrangement is good. The hiking guide take good care of us. Is nice to know that HS call the guide make sure everything is ok. Well done! Thank you! We had an awesome time on Mt Ophir thanks to HS! He checked in on us a few times to make sure we were safe and even managed to get us some sparklers to play with. The independence of traveling without a (tour) guide was also a plus point! A very unforgettable trip! Everyone pushed themselves to the limit and even though it was tough. With many encouragement from the organizers, everyone managed to reach the summit and finish the hike. Climbing the mountain (Mt Panti) is great for us. Thanks very much HS in patiently arranging the trip for us, making it possible for us to enjoy climbing. Appreciate your good work! And hope to enjoy climbing more with your agency. IWT LLP, acts only as an agent for The Client in acquiring transportation, accommodations, sightseeing, trekking and other services for The Client’s benefit, and on the express condition that IWT LLP shall not be liable nor responsible for any loss (including without limitation, direct, indirect, special, incidental or consequential loss, economic loss), damage, mishap, bodily injury, death, delay, defect, omission or any irregularity that may be caused to The Client, third parties or properties. IWT LLP is to be released from all liabilities deriving from acts of terrorism, hijacking, civil unrest, natural calamities, labour strikes, thefts or any other factors beyond IWT LLP’s control. Any losses and expenses are to be borne by The Client. In the event that IWT LLP is found liable by a court of competent jurisdiction on any basis in relation to The Client’s booking done via IWT LLP, IWT LLP’s maximum liability to the client is limited to the cost of the booking in question. See our full Terms and Conditions.